Some people really enjoy working out. They look forward to their time at the gym every day, and ride off of that natural endorphin high some exercisers get after working out a lot. Unfortunately, you can’t just make yourself enjoy working out, though, and many of us have abandoned workout plan after workout plan simply because we hated doing it. There are options out there for those who can’t stand regular gyms, however. The key to any fitness regime is finding something that you enjoy doing, because if you actually enjoy it, it will be so much easier to stick to it. Here are some fun ways that you can exercise that you won’t want to make an excuse to avoid. Sure, it’s the lightest form of exercise on this list, and of course, if you can manage more then you should. But don’t let that make you think that there’s no value in walking itself. Even if you don’t do any other form of exercise, walking more will still be an overall benefit to your heart health, your weight, your blood vessels, everything. If you haven’t worked out in years, or if you’re significantly overweight, don’t feel ashamed to start off just going for brisk walks, and even if you do work out regularly, going for occasional walks in between workout days will still have an overall net benefit on your metabolism and your health. If walking is good for you, then running is great. It gets your heart rate up and burns calories consistently, while building up the muscles in your legs and your core and strengthening your bones. If you are a fan of the outdoors, then figure out a local route that you can run, and try consistently expanding that route so you run a little farther every day. 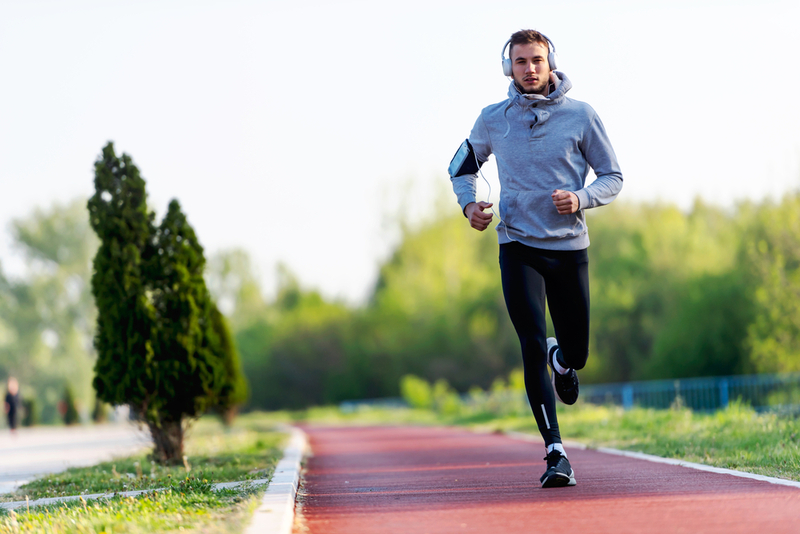 If you’re not a fan of the elements, you can still develop a good running habit by getting a treadmill. If you’re one who enjoys watching TV or movies, then set up the treadmill in front of the TV and make sure your get benefit from your time watching. 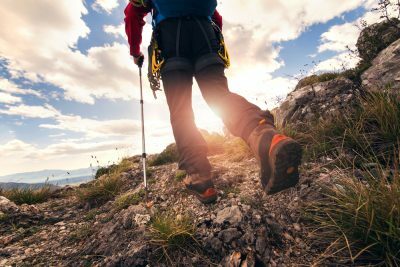 Hiking, alone or with friends, is a great way to get natural exercise. You get the benefit of moving around, building muscles, and improving your cardiovascular health, along with absolutely breathtaking vistas and fun times. Bring along a healthy picnic to make a whole day of your hike. The incline that you get going uphill also strengthens your muscles even more than walking the equivalent amount around the block would. Riding your bike is another effective way of getting exercise while spending time outside. It’s also a potentially practical choice for your lifestyle; depending on where you live, you might be able to get to work or around town by simply riding a bike. You can save on fuel, insurance, maintenance, and parking costs by ditching your car and using an entirely self-powered, health enhancing choice to get around town. Or, if you’re not interested in actually going around on a bike but like the movement, you can buy yourself a stationary bike instead of the treadmill previously mentioned. Swimming is wonderful for your entire body, and it’s a lot of fun on top. When you swim, there’s really no part of you that doesn’t get involved, so it tones more muscles than nearly any other kind of cardio exercise. If you live in a suburban or urban setting, you should be able to join up with community pools to find somewhere to swim. Of course, if you’re one of the lucky ones who live in the country, you should be able to find safe waterholes, ponds, or rivers somewhere around you, combining exploration with your workout. Rock climbing as a hobby is both very difficult and very rewarding. 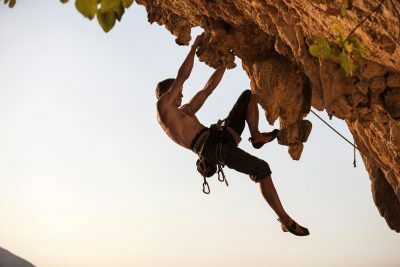 It’s tough to get into to start, but once you have a baseline of fitness enough to get up the wall, few forms of exercise are more engaging or fun than rock climbing. Many towns and cities have indoor rock climbing gyms that you can get a membership or a trial run to. Of course, if you want to go for the real deal, you could try to find a local real rock wall. Don’t attempt anything too serious as an amateur, since rock climbing can potentially be very dangerous, and no matter what skill level you’re at, you should always have a climbing buddy. It might feel goofy, but geek is now cool, and nothing is geekier than live action role playing. There is a major health benefit of all that running around and throwing lightning spells, specifically the running around part. You’ll find yourself breathing heavy after a good LARP session, but I highly doubt that at any point in the process, you feel like you’re working out. The more traditionally cool form of LARPing would have to be paintball, which is basically just LARPing military instead of magic, and is just as good for your health. Believe it or not, a good dance routine should burn a lot of calories. If your lady loves to dance, then signing yourself up for a swing or a tango class would be a great way to spend time together, while getting the both of you in better shape. Not only will you be healthier, you’ll also learn to dance better, which is a turn on for a ton of women. Speaking of skills that can also make you healthier, learning a form of martial arts will both protect you from the prospect of future health issues and of future attackers. You can learn karate, krav magra, even straight up boxing. Whatever form of martial arts you go with, you will build muscles, shed pounds, and learn how to defend yourself if the situation calls for it. Find out if there’s a pickup game of ultimate frisbee or tag football going on weekly at your local part or community center. You would be surprised just how common it is. Playing a sport, even casually, will drive you to perform better, make you healthier, and give you the fun and camaraderie that comes from working together with a team.